In the last several years, home and commercial heating and cooling equipment has changed from what it used to be. Today’s HVAC equipment is much more advanced than furnaces and air conditioning units of the past. The modern HVAC equipment offers improved energy efficiency, better diagnostic and reporting, and eco-friendly alternatives. Heating and cooling can account for up to 50 percent of total energy used in a typical home, which can have a huge effect on your pocketbook. Replacing old and outdated products with newer, more energy efficient home or commercial HVAC products can cut utility bills in the long run. In a relatively short amount of time, the financial savings more than cover the cost of the new equipment. Most HVAC equipment comes with an EER or energy efficiency ratio that indicates the unit’s energy efficiency. Air conditioners have a SEER (seasonal energy efficiency ratio). In 2006, the minimum acceptable SEER rating was raised from 10 to 13, which offered a 30 percent improvement in energy efficiency. This is just one example of how modern equipment offers major improvements in energy efficiency, performance, and operating expenses. An HVAC technician can properly install new pieces of equipment and can advise homeowners and businesses on the right type and size of equipment to purchase to enjoy a comfortable climate for less cost. 2. Better diagnostics and reporting. Today’s equipment also offers improved reporting and diagnostics. This helps HVAC technicians service equipment with less guesswork, and helps consumers receive faster repairs when something goes wrong. Many modern systems have a built-in diagnostic panel that routinely logs system function and performance. This provides technicians with reporting information and minimizes the time it takes to diagnose a problem. Of course, HVAC techs still need to know how to service, repair, and replace different components of HVAC equipment. In the past, HVAC equipment was notoriously difficult to troubleshoot since HVAC equipment used several different connections and requires a power source from the utility company. Working through the layers of connection to properly diagnose and repair a malfunctioning system took time. 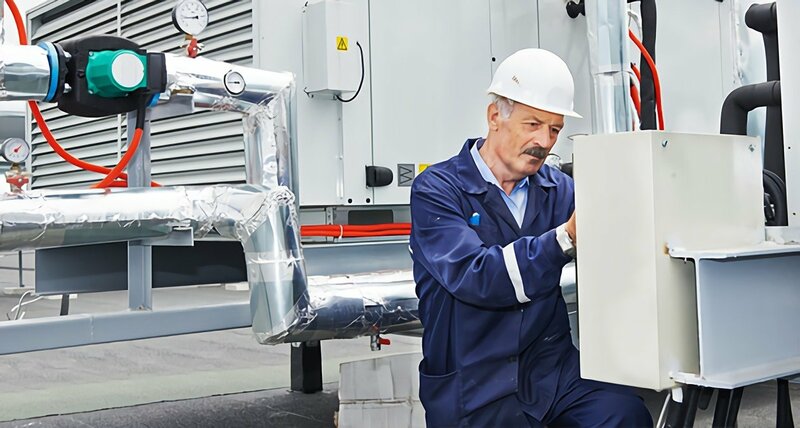 These improvements can cut the average service time, enabling HVAC companies to accommodate more customers per day. They can also improve customer satisfaction and streamline system maintenance calls. 3. Wider availability of alternative energy sources. Solar hot water heater – These use the sun’s heat to heat up hot water. Solar-powered air conditioner – These use small solar panels to operate air conditioners without drawing energy from the grid. A relatively new technology, solar AC’s are still in their infancy. Geothermal heat pump – These rely on the earth’s temperature to heat and cool water, returning their investment in anywhere from three to 10 years. Biomass home heating equipment – These systems use renewable fuel or biomass, instead of fossil fuels. Biomass burns cleaner, is widely available, and emits less carbon dioxide. Green home heating and cooling equipment is not yet mainstream, but is certainly becoming more popular as consumers look for ways to save money on electricity. Green heating and cooling systems fall under two distinct categories: passive and active. Passive systems maximize nature’s own abilities to heat and cool (e.g. white roofs that reflect the sun), while active systems use various mechanical features powered by solar, geothermal or other sources of green energy. Whether you are a veteran HVAC worker or a new technician, you need to be aware of these three trends in HVAC. Each of these advantages directly impacts HVAC suppliers and technicians, who need to understand the new equipment to do their jobs. The Refrigeration Technology program at RSI ensures that students familiarize themselves and keep up to speed with the latest technology in the HVAC industry.